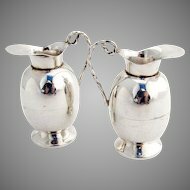 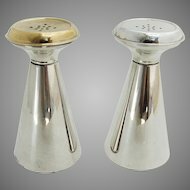 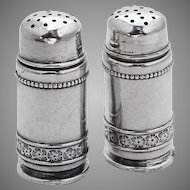 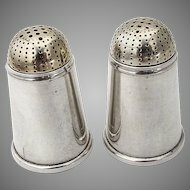 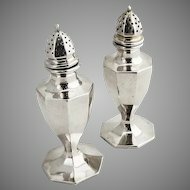 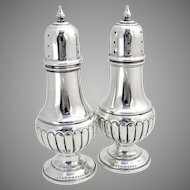 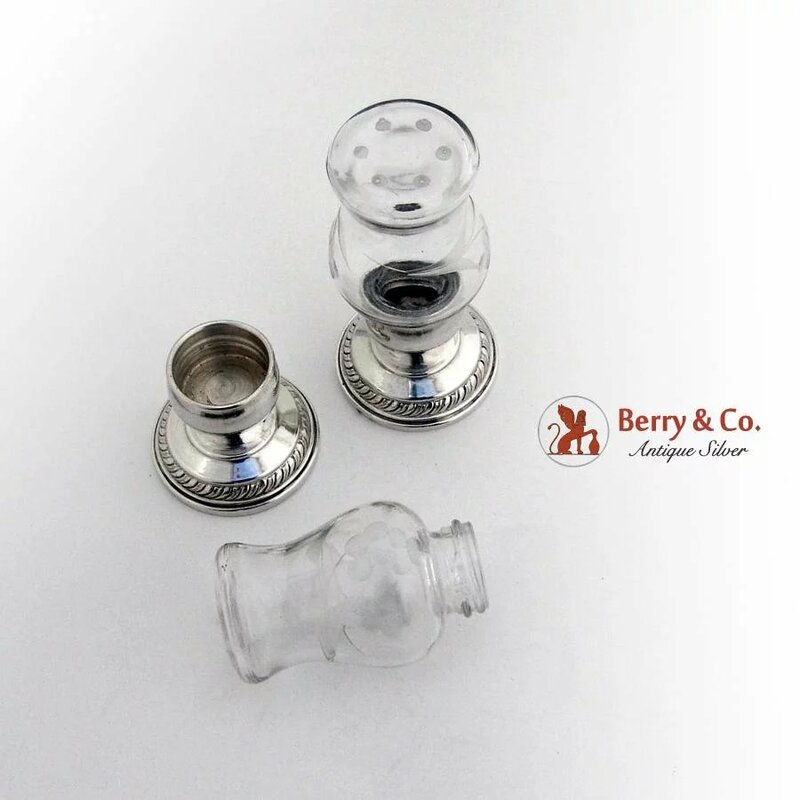 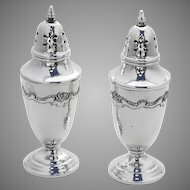 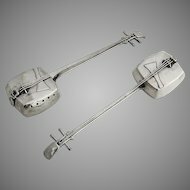 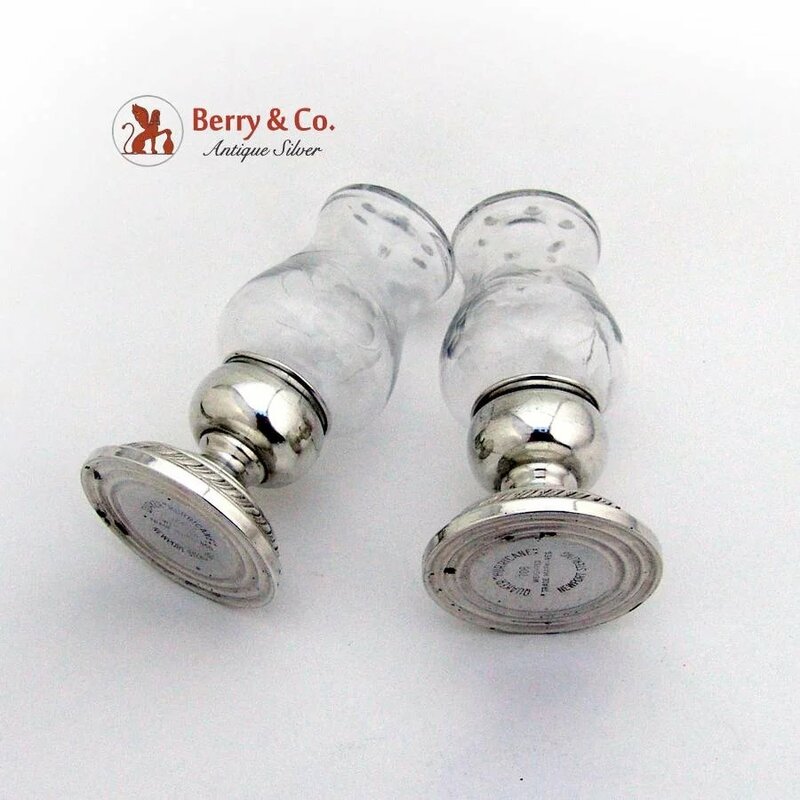 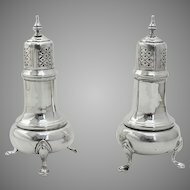 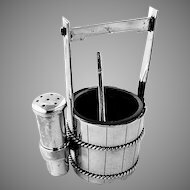 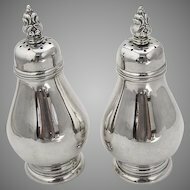 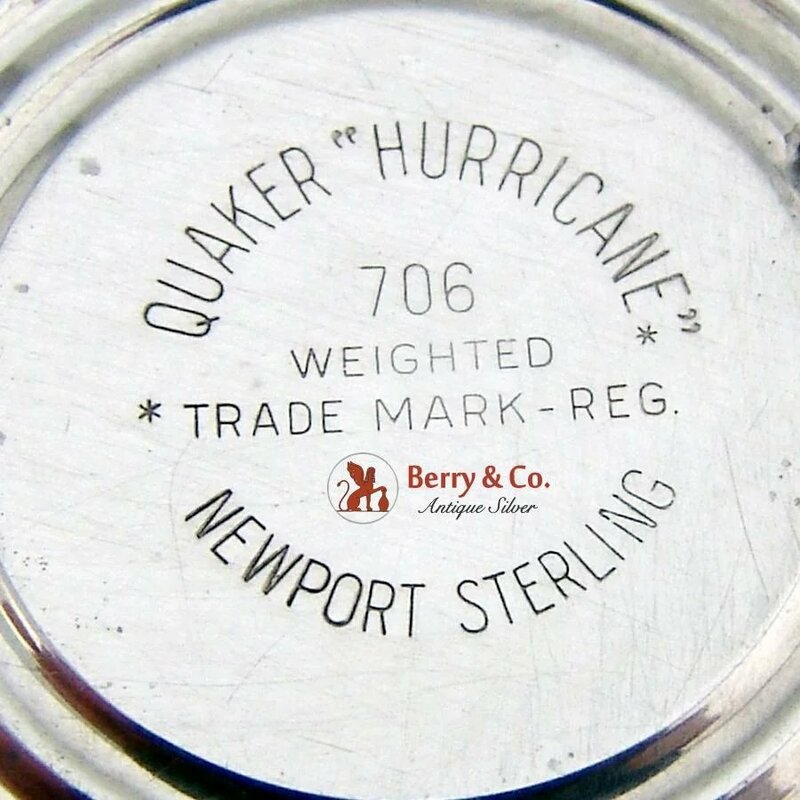 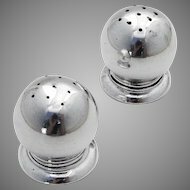 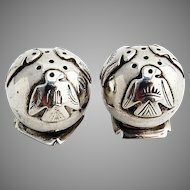 Quaker "Hurricane" Salt & Pepper Shakers Pair Etched Glass, Gadroon Weighted Base Newport Gorham Sterling Silver c. 1950. 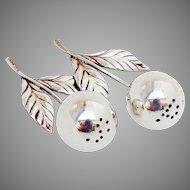 Marked 706. 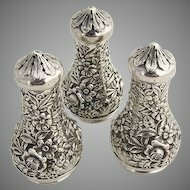 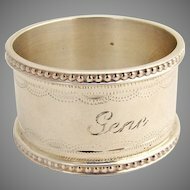 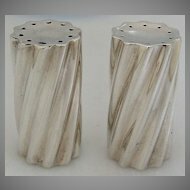 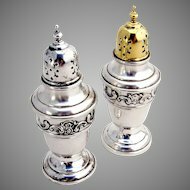 These beautiful shakers are 1 11/16" in base diameter and 3 1/4" tall.